At Northern Cobblestone, we take pride in our quality professional service. Take a look below at a few of our past references from satisfied customers. 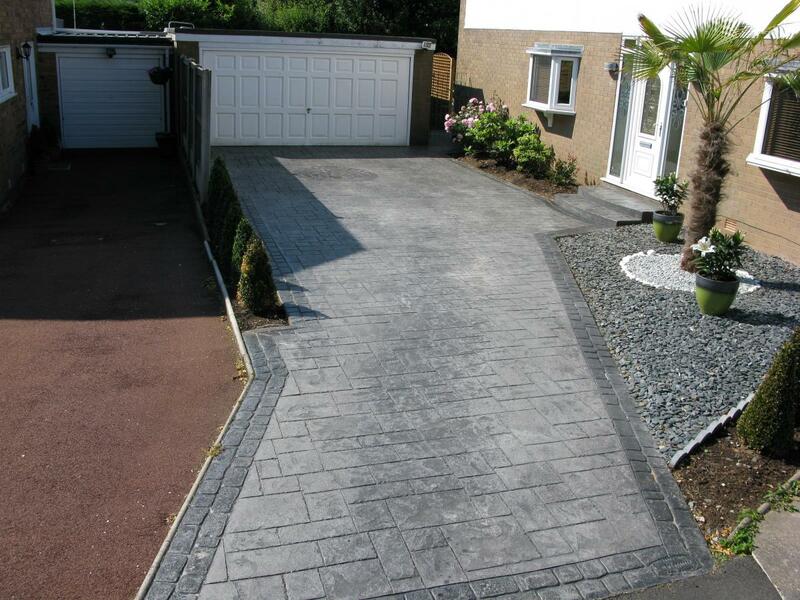 I would like to thank Northern Cobblestone for the excellent work on my front and rear gardens earlier this month. The team who visited my house were professional, courteous and above all extremely neat and tidy. I am very impressed with the end result. The landscaping and path to the front look stunning and I look forward to the odd glass of vino on the new patio area to the rear. I guess all we need now is a nice summer to make use of it. We've just passed your name on to a friend so I thought I'd drop you a line. It's been almost a year since you installed our driveway and it is still looking great. I just the love "brrph" noise the car tyres make when driving over the cobblestone effect. And having now seen the weeds growing in next door's block paving, we're very glad we chose the imprinted concrete solution! Fantastic! That's the word we would use to describe the service provided by Nick and his team. From the initial design discussions, through to the final clean up, nothing was too much trouble. The whole job was completed to the agreed schedule with minimal disturbance to our regular daily lives. After the team left you wouldn't know anyone had been working at the property. Except that we now have the most beautiful patio, giving us the outside entertainment space we had hoped for to enjoy for many years to come. Many thanks for arranging and laying out new driveway, your services were carried out in a professional manner and your team led by Connor were just as professional. They were very courteous to both me and my wife and nothing was too much trouble for them. We were expecting a horrendous few days with the breaking up of the existing driveway and the laying of the new, but it was all completed with very little inconvenience to us. Once again thank you for your services and as a footnote the neighbours and people passing by have all made comment on how nice it looks. We are thrilled with the new driveway at Highpoint and it is getting rave reviews from our family and friends. Northern Cobblestone really went the extra mile to complete the job without delay so we could get our house on the market. Conner and the rest of the team were a pleasure to have around. They really made the most of the good weather, starting at 7am and working hard all day. I would highly recommend Northern Cobblestone.